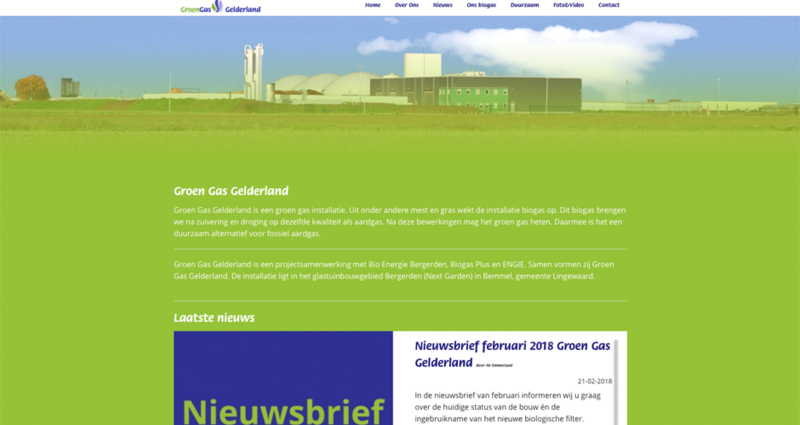 Mid 2016 we delivered a first website for the starting Biogas company ‘Groen Gas Gelderland’. In januari 2018 we delivered an all new website. This new website has a new deign, fast loading time and is responsive for use on mobile devices and has our KISS CMS under the hood. With this website our client can make changes on the website themselves. We also took care of a good SEO so the website will be found better in the search engines.